Use the "nothing is for free rule"
Separation anxiety in dogs is that feeling of being scared when left alone. Kids and teenagers go through it at some point in their lives. Puppies also get so much attached to their owners and mothers such that when they are separated, they feel like their security has been taken from them. Separation anxiety results from legitimate stress in the puppy. It then becomes more mischievous when left alone. 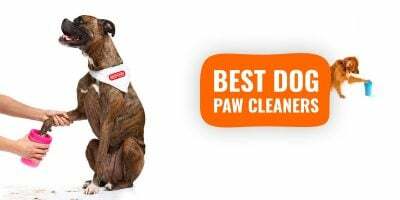 If you have a puppy suffering from this condition, then it would not be uncommon to find to a few scratches here and there on the floor and a shredded pair of socks every now and then. Knowing how to prevent separation anxiety in a puppy starts by recognizing the signs as early as possible. Then you have to teach your puppy a few tricks of having fun when left alone. In this way, the boredom is slowly eliminated as her confidence builds up. If you have a puppy that has separation anxiety, then this article will discuss the signs and symptoms of anxiety and give you a number of tips to help you resolve the issue. Helping a puppy that has this condition requires that, as a responsible dog owner, you are able to know when the signs start to show. It is only then that you can begin the process of helping your cute puppy sort out its nightmares of being left alone. Being too vocal: After you leave the puppy alone, it starts to howl and bark frantically for hours. This can also occur sometimes before you come back to the house or even for the whole period when you are away. Destructive behaviors: In attempts to follow you after you have left, the puppy tries, by all means, to get out of the house. 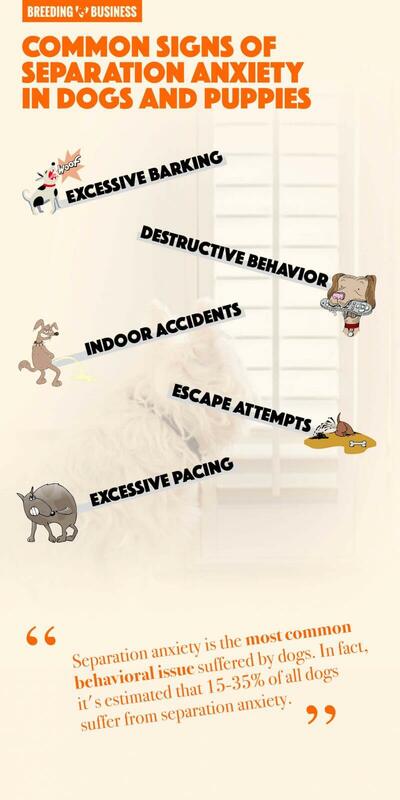 You will find chewing, scratches and even clawing on escape routes such as windows and doors. Drooling: An anxious separation puppy will show signs of excessive drooling. When you come back home and find wetness spots on the floor and all over the puppy, then you know something is up. Extreme attachment: The puppy will become too clingy to the owner after being separated from the rest of the litter. He then follows you around the house at all times. Attempts to be left alone makes him upset. When you come back, the greetings and activities will be over frantic. Loss of appetite when you are gone: You will find the meal you left her untouched. She would then only start eating when you are around. A bored puppy would otherwise eat out of your presence. 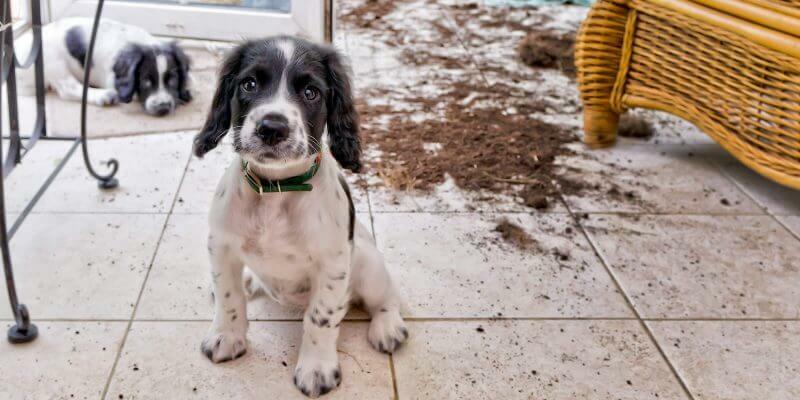 Inappropriate behavior: An anxious puppy would accidentally urinate and defecate in the house. It would also be common to find the house soiled. Discussed below are some of the essential things you can do when you have a new puppy or when you have separated one from the rest of the litter, so that she feels comfy and relaxed when left home alone. Ensure that during the first few weeks, you do not hold the puppy, have her in your bed or have her around you at all times. This should not be an excuse to neglect her either. Create some time to play and hold her. The key issue is that the play time should not be at all times. When the pup follows you around, just play it cool and ignore her. It is also advisable to maintain low key departures and arrivals because, for the puppies, the manner in which you leave their presence is key. Do not be dramatic when you leave and come back. The less sure the pup is whether you have left or are back, the more relaxed she will be. Your body language should also give an assurance that everything will be alright when you are gone. During play time with your puppy, provide her with some treats, and then make an exit. Stay away for a few minutes then come back. In this way, she will know that your departures come with pleasure. As time goes by, prolong the duration of being away. The pup will begin to feel comfortable alone. In as far as the nothing for free rule is concerned, the puppy should learn that she must work to get certain things. She should sit before being fed; she should also learn that her play time, as well as petting, should be earned. When you plan on leaving the pup in the crate during the day when you leave the house, then it is essential that you make him feel secure. For a start, let the pup spend some time in his crate for short intervals during the day until a routine is developed. When putting her in the crate, make sure you do it very safely. Putting her safely in the crate when you leave or during bedtime only makes her associate the crate with confinement and starts to resent it. If using the crate at night, it should be placed near you as much as possible. When the puppy starts feeling uncomfortable in the crate, then your voice alone should sooth her. Feel free to use a thundershirt or anxiety dog vest in order to reassure and soothe your dog while you are away. If you train your puppy to be obedient and disciplined then this will surely be a cure for separation anxiety in a puppy. The puppy then grows knowing that which is expected of her. It realizes when a bad habit is not tolerated anymore and stops it without you intervening. The training should happen in different parts and for varying amounts of time. Being courteous to guests is another virtue you should instill in your puppy so that she does not feel awkward when you have friends over. 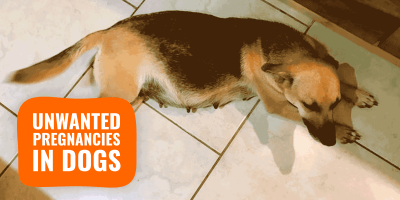 Use delicious puppy training treats to motivate your dog! Provide adequate exercise for your puppy, ensuring that her limits are not exceeded. 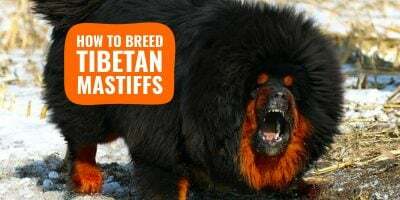 This is particularly necessary for large breed puppies. They have lots of energy to burn. After the puppy gets tired, she is more likely to settle when you leave. Mental exercising will be just as essential as the physical ones. Play games that improve her self-control, patience and focus. These are essential when she is left alone. Providing some playing toys for the puppy when leaving her in the crate alone can also do wonders. The more fun she haves in it, the more she becomes used to being in the crate. She would think that is where the fun is. For example, some owners do a quick dog treadmill session in the morning so the dog is drained for the rest of the day. Too drained to be anxious. Training and disciplining your puppy may fail to prevent the puppy from developing separation anxiety. Some vets recommend certain medications to help your puppy calm herself down from panic attacks and anxiety disorders. These medications should be only prescribed by a vet and not bought over the counter. 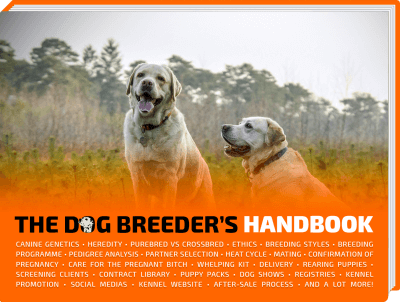 You should be very diligent when using them on your young pup too. You can also choose to use natural supplements to aid your struggling puppy. These work to induce calmness and relaxation to the puppy. Separation anxiety can be prevented and overcome in any puppy. The process takes different durations for different puppies but it is possible. With patience, time and consistency your puppy will soon be able to master its fears and anxieties. These tips can help you achieve the desired results within a short period. A puppy would ordinarily view you as the leader, so be one and dictate what is to be done. But do not be too strict. This worsens the situation. Allow for some time to play and bond with you. The key issue is that the puppy should not be allowed to spend all of her time with you. 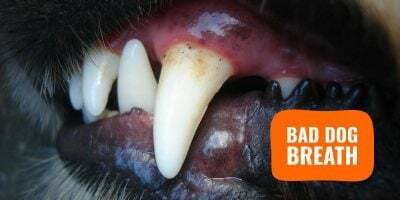 I hope this article will aid you in bringing to a halt all the howling and growling your puppy does as soon as you leave her alone. About The Author — Helena Foster is a Veterinary Nurse and the founder of PawsomeWorld. She has a lovely dog – Lulu. With the love for dogs, she’s willing to share her experiences for dog owners to help them make a better life for their own dogs.